Composed by Traditional. Arranged by David Warin Solomons. 21st Century, Neo-Classical, Folk. Score, Set of Parts. 13 pages. Published by David Warin Solomons (S0.266361). 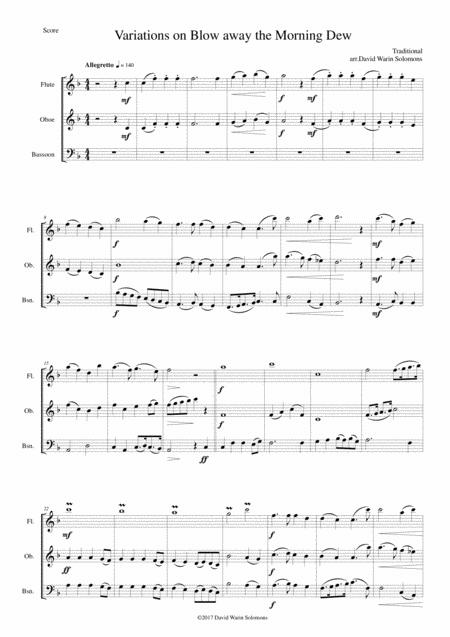 Going on from the "15 easy wind trios (flute, oboe, bassoon)"
I decided to make extended arrangements of some of them. To see what he could kill.